Too expensive to translate? Have to cope with a short turnaround time? 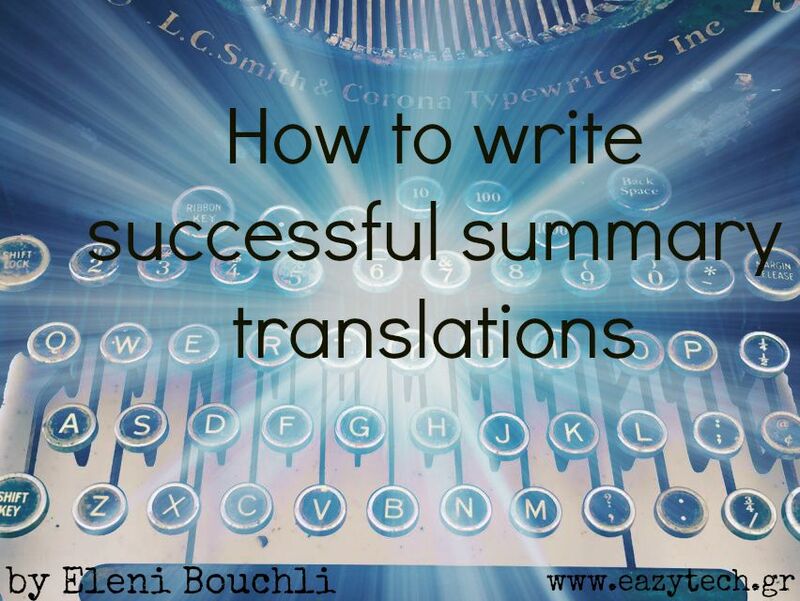 What about offering to write a summary translation instead of translating the whole text? Translators are not only translators. Above all, we are primarily writers. So when you work in the language industry, you may be asked to fulfill different tasks apart from translating a document. For instance, there are clients who wish to use their material only for informational purposes or they have to examine a large volume of legal documents (i.e. lengthy notarial deeds, contracts, agreements, financial documents, etc.) for relevance and they ask us to focus on more pertinent client-related information. In litigations, some documents are found to be irrelevant and they do not need to be fully translated. In other cases, the multi-page material can be of academic content (like scientific papers, reference material, etc. ), news articles, basic instructions for a device etc. So translating this kind of documents from scratch may be rather expensive for some clients, especially if they face budget restrictions. In order not to lose the client, you can offer a more cost-effective option: to write a summary translation of the original text. This kind of service can satisfy the client’s need for information and will help you to build a stronger reputation in the market by showing that you are flexible and willing to accomplish various communication tasks. After all, one should never underestimate the word of mouth! Flexibility is a core element in today’s business world and can be a cornerstone towards clients loyalty and increasing sales. Another interesting fact is that a team of scientists, comprised by psychologists and linguists, tried to prove if a verbatim translation could offer more quality results if it preceded the writing of the summary. 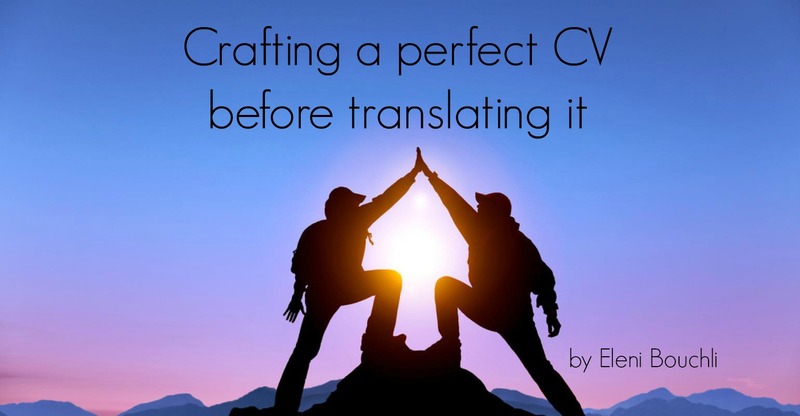 To prove this, they conducted this experiment where they asked from 34 professional translators to write English summary translations for 4 texts in Chinese or Korean. For 2 of the texts, participants were explicitly instructed to write a verbatim translation in English before writing their summary translation. For the other two texts, participants were only required to write the summary translation. Some of the participants felt that writing a verbatim translation was useful because it allowed them to keep track of information, remember details, and quickly skim the translation for important parts before writing the summary. Several participants also reported that writing a verbatim translation forced them to read the source text more carefully. However, others reported that the process of writing a verbatim translation was frustrating and caused them to waste time on things that were unimportant. One participant reported that the detailed work required for writing a verbatim translation caused him to lose track of the big picture needed for writing a summary. The final verdict derived from the experiment’s results is that the quality of summaries written by the first group was NOT significantly different from the quality of summaries written by the second group. So, as the experiment suggests trying to translate word by word before summarizing does not help much. First of all, in the business world you don’t have the time to do that. Secondly, you are not paid to do that and thirdly being able to adjust between languages is a virtue which we translators cherish. Start thinking and producing the text in the target language from the very beginning. This is what we are asked to do and what we have been trained to do, after all. Summary translations: what are they truly about? On the one hand, to write an effective summary, you should varnish and polish your writing skills. On the other hand, to translate well, you should always improve your language writing skills. Combine those two and you will have the magic recipe for writing a successful summary translation. Some people characterize a good summary as the distillation of the ideas of the original text. The writer of a summary is responsible for generally stating, in his or her own words, the main argument of another writer. Summaries are all about comprehension. They are not about rewriting the whole piece. They focus on rephrasing, paraphrasing, retelling, restating, reconstructing the initial piece, and especially they force us to be creative. They train the linguist to find ways to be more succinct by keeping all the essential stuff and throwing the trivial out of the window. As in standard translation process, the audience to whom we address plays a primary role in our translation choices. Likewise, before you start writing a summary translation, you should ask yourself about its purpose: Why your audience wants to read it? Who is your audience? Having that question in mind as your compass, first read all the text very carefully to get the gist. Then, outline the article by extracting only those elements you think are the most important and note the major points in the margin, always in your target language. A quick search of some terminology to help you understand the text better may be useful at this stage. As a second step, divide the text into smaller sections. Focus on any headings and subheadings. Personally, I prefer working with paragraphs which I believe is a more organized way when working with summaries. Write a title for each paragraph using your own wording. If you must use the actual words of the author, just cite them. As a general rule, you should avoid putting our own opinions, ideas, or interpretations into the summary. The final stage is the most important in order to avoid mistakes which, unfortunately, make a bad impression to your reader. Reread your summary and make certain that is accurate and fair to the piece summarized, and especially clear for someone who has never read the original text. Once you’ve done that, you should, as any writing routine dictates, revise it for style, grammar, and punctuation. Actually, neither. The answer regarding the number of words is somewhere in the middle. All summaries are not the same, as all texts are not the same: summary translations can range in length from two sentences to several pages. However, the golden rule is to try to make your summary equal to the 1/3 of the length of the original text. You should bear in mind that translation summaries (as other services like editing, proofreading and copywriting) are mostly offered as an hourly-paid service. So you should work in such a way as to be happy with the output you deliver and the money you are paid for it, taking into account the complexity, difficulty, and length of the original text. Despite the fact that summary translation claims to be a cost-effective and faster service compared to full translation, it should be noted that this kind of service is not appropriate for publishing or distribution purposes. It can serve for internal or personal use only. It primarily aims at transmitting important information to the interested parties as fast as possible. In addition cost-effective does not mean cheap. Although not every word is translated, a translator needs to carefully read the whole document and understand it sufficiently enough in order to know which fragments should be omitted and which should be abridged. Clients must always bear in mind that summary translations combine two writing skills (translating and summarizing) in one and the time spent by the linguist to do the job must be paid accordingly. We can always advise the client to make a summary of the original text before assigning it for translation, or to offer the alternative of performing a selective translation of just those sections identified as most relevant, if there is a real need to cut the costs. Are you interested in summary translations? Do you offer them as a service? Do you think that they are a good way to entice a customer into selecting your services or do you believe they do not worth the time and money spent on doing them? PreviousWindows 10 free upgrade. Should we jump on the Windows 10 train?